Ever dreamed of going behind the scenes at the Vatican? Walking through locked doors? Ducking under velvet ropes? Admiring the incredible art and rooms closed to the public, like the world-famous Niccoline Chapel (above) or Bramante’s staircase? Good news. Now, your dream can come true. Two tour operators now offer VIP access to the Vatican’s most hidden gems. 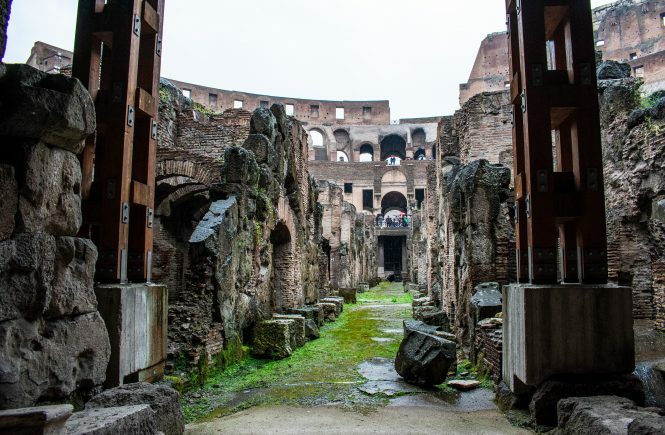 Walks of Italy just launched its “VIP Access: Vatican Behind the Scenes & Sistine Chapel” experience, while Dark Rome offers the “VIP Vatican & Private Sistine” tour. (Update, 7/5/2012: You can also find this tour on Viator, where it’s named the “VIP Access: Sistine Chapel Private Viewing and Small-Group Tour of the Vatican’s Secret Rooms.” However, Viator is not a tour provider; it is an aggregator. There is no such thing as a “Viator guide” or “Viator tour.” In this instance, this tour is not Viator’s, but rather Dark Rome’s, tour [which makes it very misleading, and incorrect, that the Viator tour description says it is a “Viator exclusive”]; people who book with Viator will be put on a Dark Rome tour, with a Dark Rome guide, exactly as if they’d booked it directly through Dark Rome. Therefore, my description below of Dark Rome’s VIP Vatican tour should also be applied to Viator’s). In both experiences, in a maximum group of 10, clients are led through the Vatican and behind closed doors by a Vatican guard (and their guide). That’s how they see such famed (but inaccessible) gems as the famous staircase of Bramante, the Gabinetto delle Maschere (with mosaics from Hadrian’s Villa at Tivoli and the “Three Graces,” one of the world’s most famous ancient Roman sculptures), and the terrace of the Loggia Scoperta, with its stunning view over Vatican City. (This blog post by Walks of Italy has lots of photos of what all these look like). But the most exciting stop is the exploration of the Cappella Niccolina. This was the papal chapel frescoed by early Renaissance master Fra Angelico in the mid-15th century, before Michelangelo was even born. 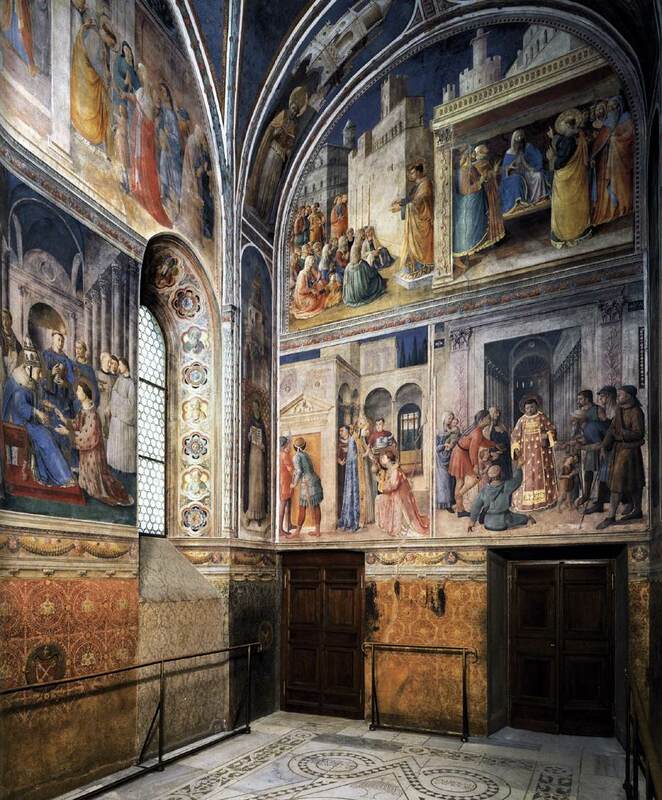 Filled with exquisite frescoes that happen to be some of the most seminal of the Renaissance, this chapel is almost always closed to the public. The chance to experience it, never mind in a group of just 10 people, is phenomenal. So far, the only way to visit these spots is on one of these two tours. Not on your own. Not even with a Vatican guide. Just on the Walks of Italy or Dark Rome tour. That’s not to say these two tours are exactly the same. Yes, they’re both 3 hours long. Yes, they both visit these hidden spots, as well as the Vatican’s more accessible (but unmissable!) areas like the Raphael Rooms and Sistine Chapel. Yes, they both include skip-the-line access to the Vatican museums. The big difference is in the Sistine Chapel. Although both tours explore the Sistine Chapel, the Dark Rome version visits the Sistine Chapel for half an hour after it closes to the public. (The Walks of Italy tour visits it as normal, but does include skip-the-line access to St. Peter’s Basilica upon exiting). That leads to the other big difference: the price. The Walks of Italy tour costs €79 per adult, while the Dark Rome tour costs €220 per adult. I am an architect and have been to the Vatican several times. I have never seen the Cappella Niccolina and am a great admirer of Giotto so would love to see this. So your tour is very interesting. But can you TAKE PHOTOS without a flash? I know there are no photos in the Sistine Chapel — but what about in the Cappella Niccolina and Bramante’s staircase and the other areas listed on this tour? You should be able to photograph in the Cappella Niccolina and Bramante’s staircase fine. In the Sistine Chapel, rumor has it that’s only a rule because the company that funded the restoration also owns the license to any pictures of the ceiling post-restoration. Enjoy your visit!